Colombia's biggest city has culture to spare, and its regional gastronomy has made it a global foodie destination. You'll have ample free time to explore this Andean capital on foot. Start with the cobblestone streets of the La Candelaria neighborhood, where trendy restaurants and colonial-era landmarks are located. You'll also find excellent museums, shopping, and street food ranging from empanadas to exotic fruit salads. (Optional add-on.) 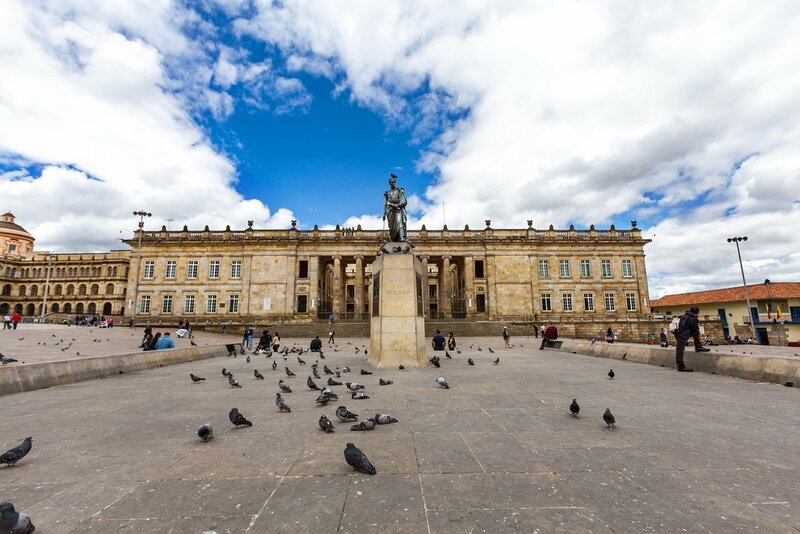 Depending on what time you arrive, you can experience Bogotá's local history and culture by taking a tour with an English-speaking guide. 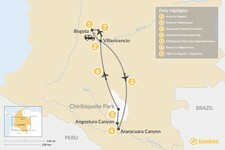 A three-hour transfer from Bogotá, the city of Villavicencio is where the Andes meet the plains (La Puerta al Llano). This scenic drive will meander past bridges, through tunnels, and around mountains, so keep your camera close. 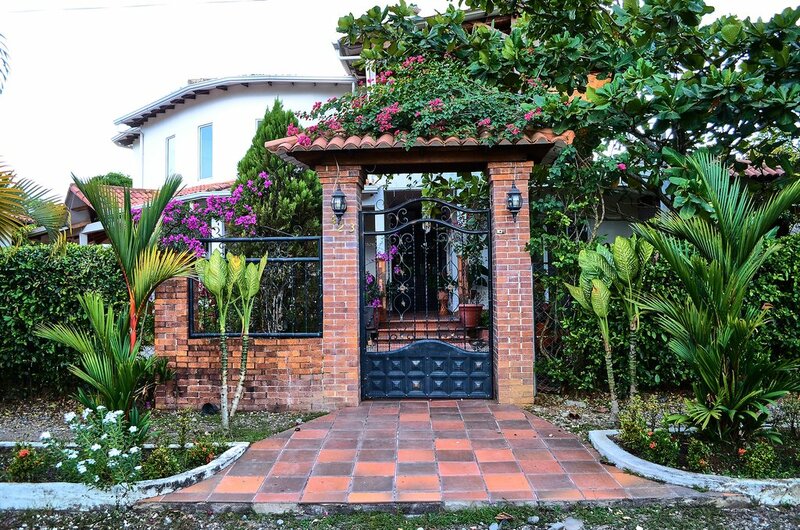 Depending on when you arrive, take the afternoon to explore Villavicencio. Visit the spacious Parque de Los Fundadores (Park of the Founders) for some peace and quiet before the next leg of your journey. If you get there early enough, choose from a range of organized activities in the area such as hiking, rafting, canyoning, horseback riding, or even paragliding. 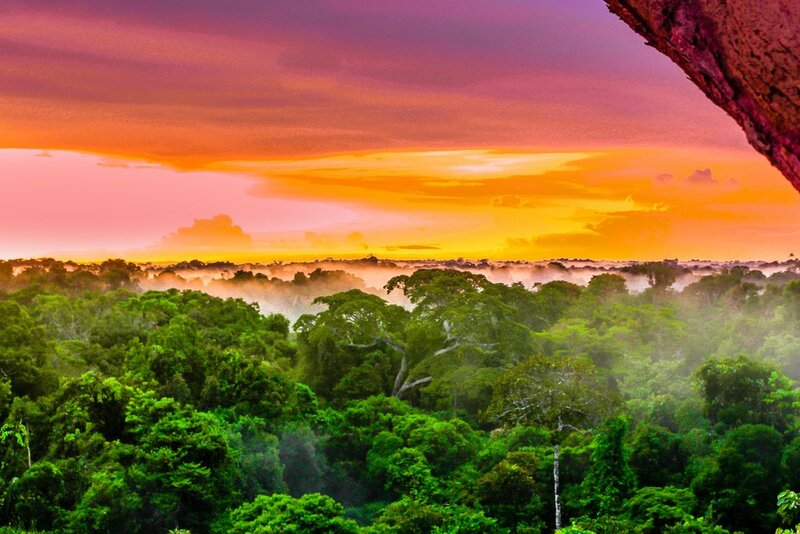 This distinct excursion starts with a chartered plane that takes you high above the mountains into the mystical Araracuara Canyon, in the Amazon rainforest. This was once the home to an infamous jungle penal colony (it operated from 1938 to 1971). Today its dramatic canyon walls and running river are an example of Colombia's exotic natural beauty. Upon arrival, you will cross the river by boat and check into a small hotel. 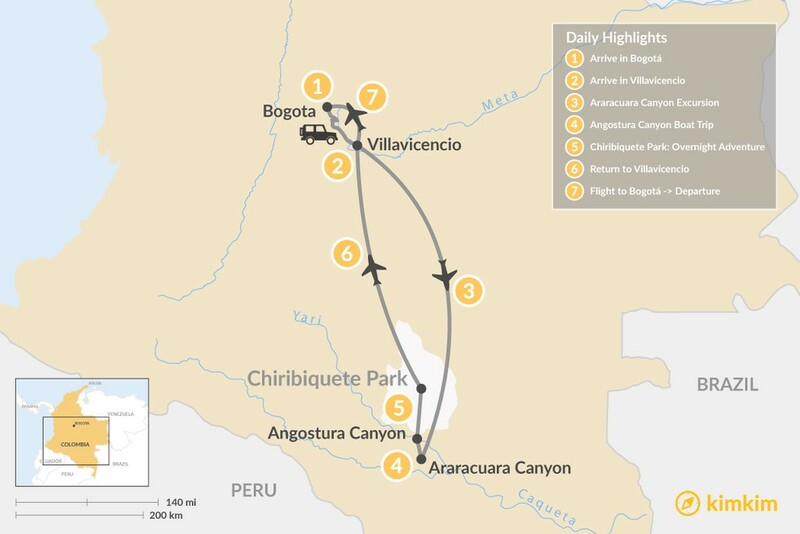 The next two days will be dedicated to exploring the Araracuara Canyon and the surrounding areas by boat and foot. 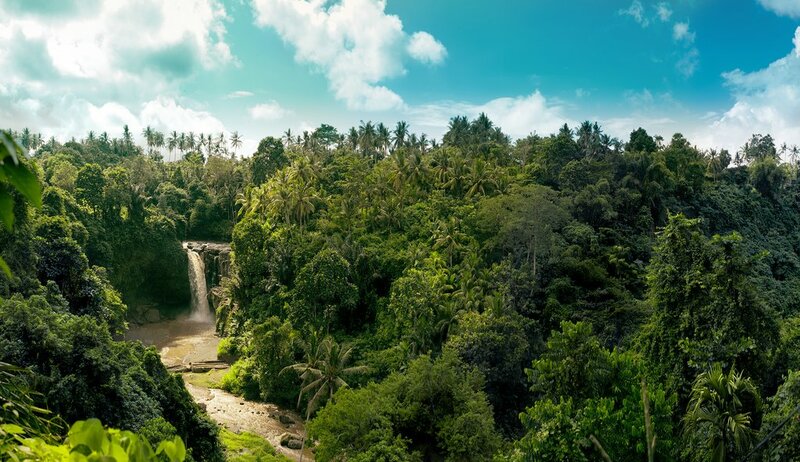 You will fish with the locals, hike through the rainforest, discover incredible petroglyphs on the canyon walls, and interact with the Witoto and Antoke tribes. Today, you'll take a boat ride from Aruaruara to another canyon: the Angostura Canyon. 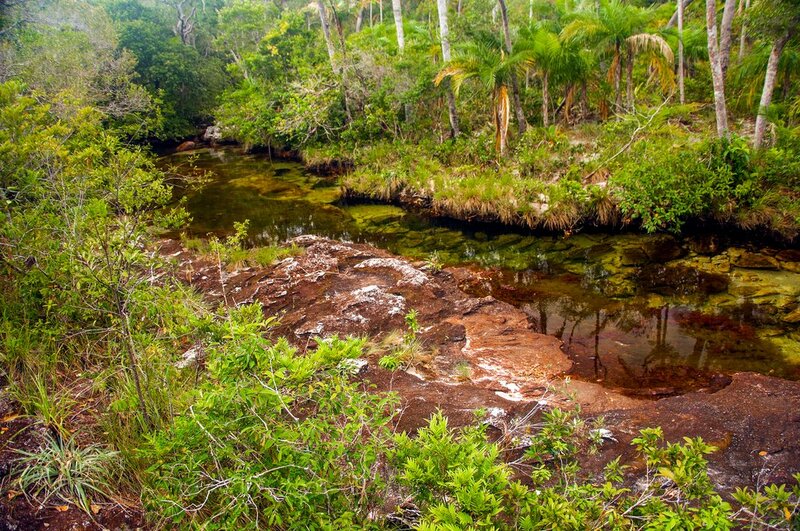 It's located several miles above the Araraucuar, in Colombia’s largest park, Chiribiquete National Park. Enjoy the dramatic views of this deep canyon and interact with a Witoto tribesman to learn about the legend of Angostura and Colombia’s most infamous penitentiary. Enjoy Chiribiquete Park. Due to the park’s size (10,700 square miles) and isolated location, this is one of the more unexplored areas of the country. 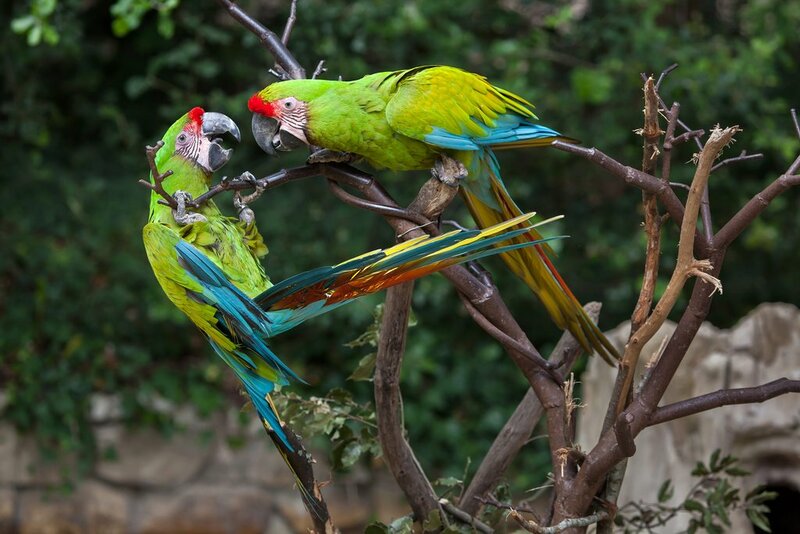 The park includes the Serranía de Chiribiquete mountains and surrounding lowlands, which are covered by tropical forest. Along the two main rivers that flow through the heart of the park, there are several waterfalls cascading from the top of the rock masses, which form rapids of exceptional beauty. 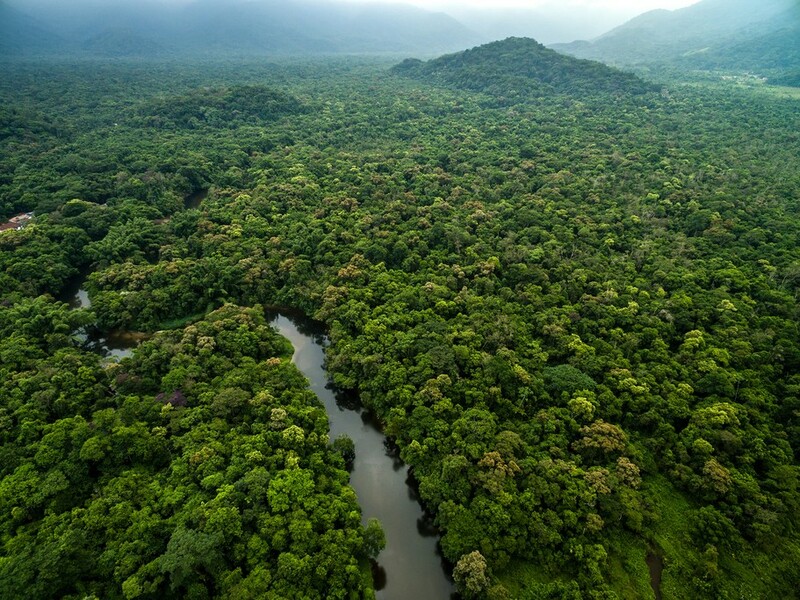 If that's not enough, the lowlands of Chiribiquete have one of the highest rates of plant diversity in northern Amazonia. Tonight you'll stay in an indigenous community. Today, you will return to Villavicencio and stay overnight. If you didn't have an opportunity to explore the city the first time around, take the afternoon to wander its streets. Enjoy the pretty fountains, sculptures, and parks, as well as the 19th-century cathedral. No matter what you do, you should end the day (and the trip) with one attraction that draws visitors far and wide—the renowned Rumba at Los Capachos nightclub, where you can dance with real Colombian cowboys. It's time to say goodbye to Colombia! 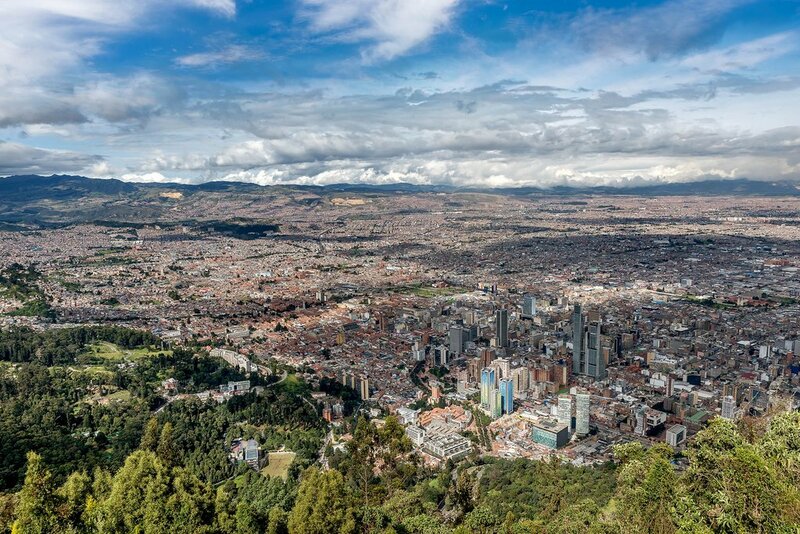 Today you will fly back to Bogotá to connect with your international flight home.